A couple of weeks ago, I answered a question about how your account and credit score could be affected when a bank-issued credit card’s provider changes. The reader, Brian, then followed up with a question about account age – which I’ve answered below! Account age, which accounts for about 15% of your credit score, affects your credit for a few reasons. Primarily, it’s because credit scoring models have shown that people who have older credit are less risky as customers. Lenders like to see that you’ve been able to maintain a long-term relationship with a creditor, because it shows that you’re a good customer. But how your score is affected by account age depends on several factors. “If you’ve had the same account for 10 years,” says John Ulzheimer of Credit.com, “your credit score will take a hit if your account is closed.” But if you’re younger, and you’ve only had credit in your name for a couple of years, it could hurt you more. Why is that? Because account age is determined in one of two ways. One way is by looking at the account you’ve had open for the longest period of time. In your case, even if your account were to show as closed, if you have another account in your name that you’ve had open for a long time, your account age will still remain strong. The other way it’s determined is by averaging the amount of time all of your accounts have been open – and when you’re younger, you probably only have a couple of accounts, with only a couple years in each of them. Therefore, closing your oldest account when your other accounts might only have two or three years in them could hurt you more than if you still have 10 years of credit in your name. 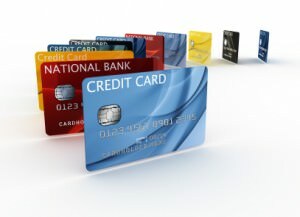 So, to determine how this might affect you, you should pull your credit report (try annualcreditreport.com). “Normally, when a company re-issues an account, they’ll keep the same opening date,” says Ulzheimer, “but a month or so after you get your new card, you should check your credit report to see how your account was – or wasn’t – affected in the switch.” If the date you opened the account hasn’t changed, you’re in the clear – but if it has, you may want to call your bank to see what options you might have. Ask Jean Thursday: Does it Matter Who Closes My Account?